An excellent wine that the winery produces with the Arneis grapes that come from the vineyard adjacent to the property in Castagnito that was once owned by the Abbey of Breme in 1200. The area, made of sandy soil, confirms an ancient wine vocation that makes today’s Arneis the leading edge of white wines in the Roero. A modern wine, with a remarkable personality, Arsivel, is a registered company brand. The name originates from the Piedmontese dialect meaning a nice and extrovert person. Bouquet: Fresh, delicate, full and intense, with hints of camomile, peach and apricot. Taste: Dry, balanced and harmonic with a slight aftertaste of honey. 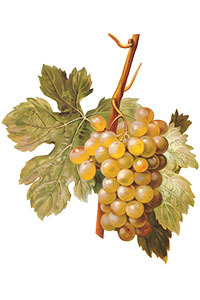 Food pairings: It can be drank as an apertif, with starters, pasta dishes, fish and white meat. Ageing: Steel, it is bottled in December, the same year as the harvest. Alcohol percentage: 13.5% (it can vary for each vintage). Consumption: We advise to drink it after one year of the harvest. Due to its high alcohol content, it can be kept for several years. Vinification: The process starts with cryo-maceration on the skins for 24/36 hours to extract the aromas. The alchololic fermentation then takes place at a controlled temperature. After the fermentation the wine is left to rest on the lees with occassional battonage (a procces with consists of stirring the lees in the wine).